Are you a Team or an individual agent. Answer: When we moved to this region in 2010 we started as Team 1 Percent" , changed to Mr 1 Percent in 2012. You can never be 100% Solo & always do need the help of other professionals who are the part of your team. Although Considered a Solo & you will be dealing with me mostly and I am always avaialble for my clients but we are still Mr 1 Percent's Team.This year we are adding another Buyers Specialist to our team. Charging Less Means Getting Less. Isn't the old saying is that you get what you pay for ? Answer: My Service package is 2nd to none. It is a Full Service Top Notch package with One of the Most extensive Internet marketing Plan . From Staging right till the Closing you get The best possible service , Best advice and my expert negotiation skills. The Savings part is the Icing on the top. Please check out my testimonial Page. My Business model is mostly based on Client Referrals & Repeat Business. Does 1% Total commission Deals ever Happen. Why would you work for Free on a Double Ender ? Answer: The Double Enders with total 1 Percent Commission happens on frequent basis. With close to 70000 agents working in Ontario, no one can claim the monopoly but Over 25% of My Deals are double enders where the buyers of your homes are also represented by me . In Hespeler it was over 30% in 2016. 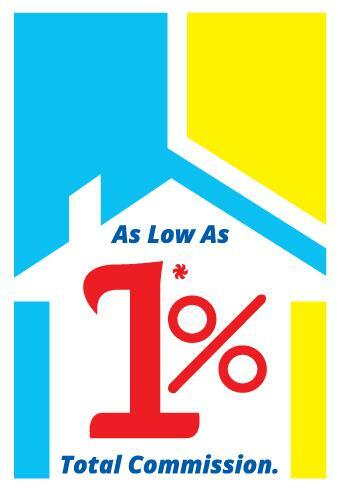 Markets average is under 2% for the listing agents selling their properties themselves. Answer: None at all. It is a tried tested and true formula. Gives you the best of Both Worlds where your listing is accessible to all the Realtors & their buyers but also marketed to direct buyers who are encouraged to bring offers. Your competitor told us that they have black listed your listings , Is it True? Answer: Offcourse not ! The Commission cut is only on my end, The Co-operating agents are still offered the same money as any other listing out there and no agent can do this kind of disservice to their clients. With over 330 Transactions in the region (Over 700 Transaction over last 11 Yrs) I have dealt with pretty much all the agents (Who do some Business) multiple times. Your Competitor told us that because you charge less and do more Listings thats why you are way too busy to provide service ? Answer: Never ever too Busy for my clients. I only take as much business that I can handle. I do have a great system and a team to help. Your Competitor told us that you are from Toronto as your name is on the Toronto Board, How Can you service our Listing when you are not From Here? Answer: I have been Living in Hespeler (Cambridge) with my Family for last 7+yrs, My Satellite Office is also in Hespeler Downtown. I do market all of my listings in the Toronto market & Toronto Real estate Board. which is one of the biggest reason behind my success in the region. I do have great Working relationship with many of GTA's Top Realtors. The added Marketing helps in attracting the GTA buyers who have been continiously moving from there to our Beautiful Region. Can You Help Me With Buying too or are you only a Listing Specialist ? Answer: A part from Selling the Listings to my buyers I do help Buyers clients With their Purchases. I have 2 Full Time Buyers Specialists working with me to seve all of my Buyer clients. Do you deal With the Rentals ? Answer: Yes, I do deal with Residential & Commercial Lease. Clients get full service just like a for sale Listing. Answer: Yes, I do deal in Commercial Including Land, Sale Of Business, Multi-Family , Industrial & Commercial Leases. Can you Help Us in Purchasing a New Build Home or An Apartment ? Answer: I do help my clients in purchasing New Builds too regardless if the Builder is Brokers Protected or not. I specialize and do get VIP access to many New Condo & Freehold Home Projects. (A New Investment & New Build Page will be added to this Website Very Soon). Do you have any Affiliation With Mattamy Homes? Answer: No, I don't work for them & don't have any affiliation with them. I do specilize in selling their homes. I have Sold Over 240 of their homes and my Current home is my 6th Mattamy Home in a Row.